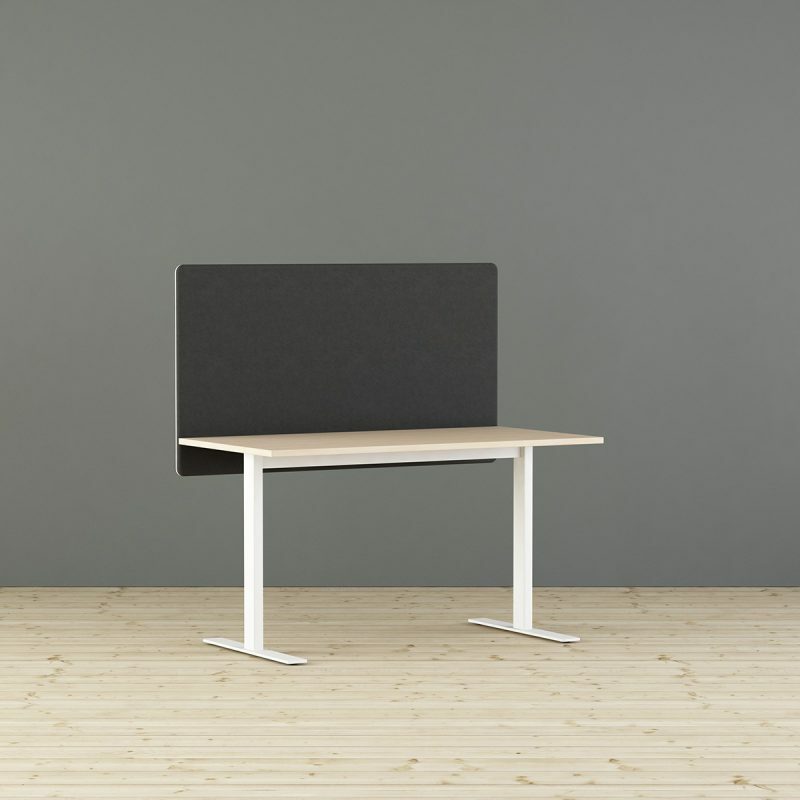 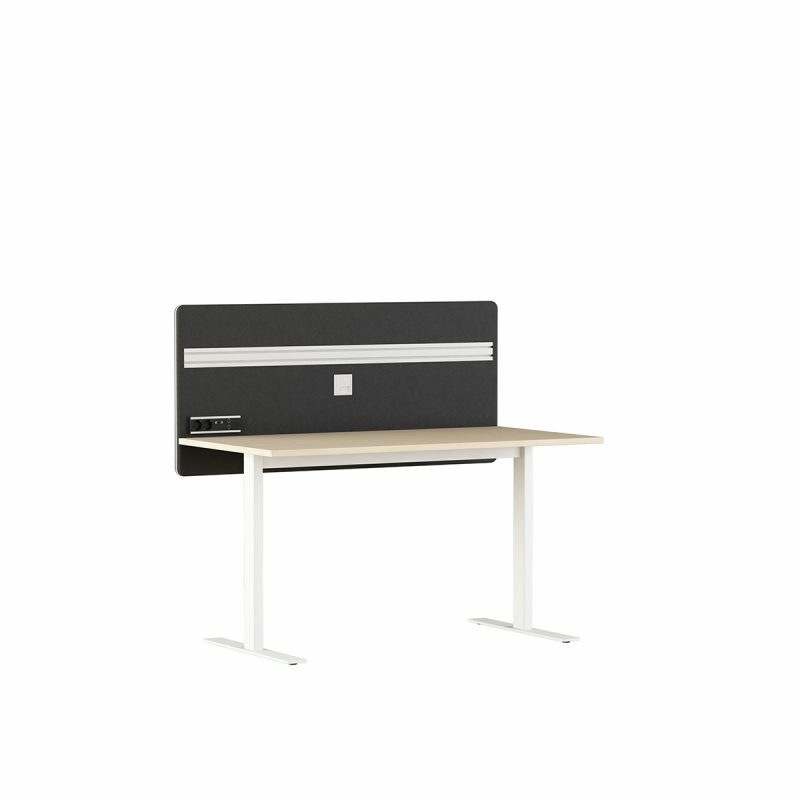 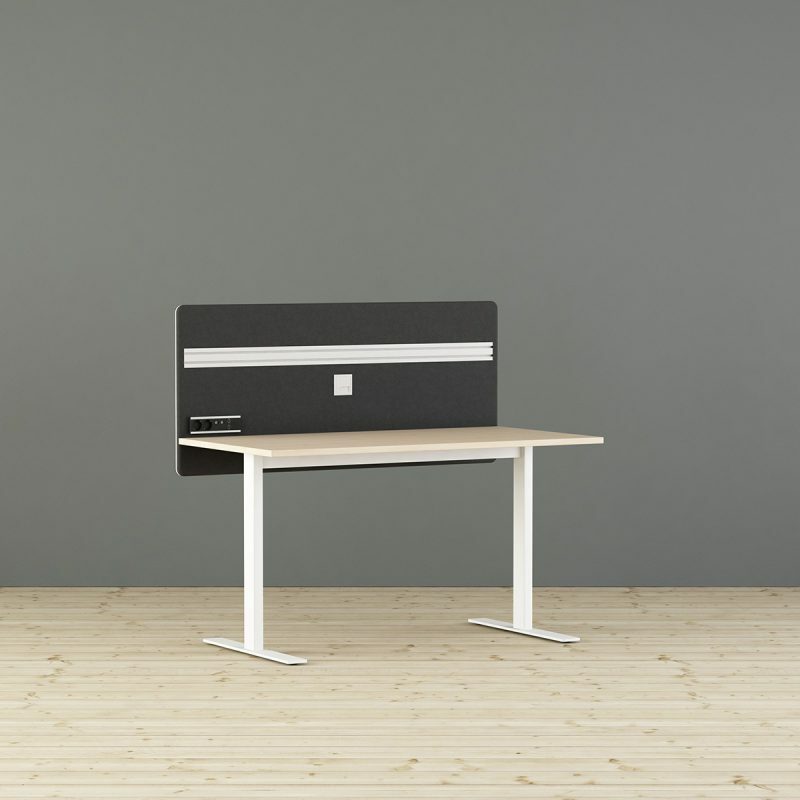 Contrast is our first desk-up screen based on the original version with 40 mm fabric-covered screen with straight lines, rounded edges and a plastic moulding around the screen. 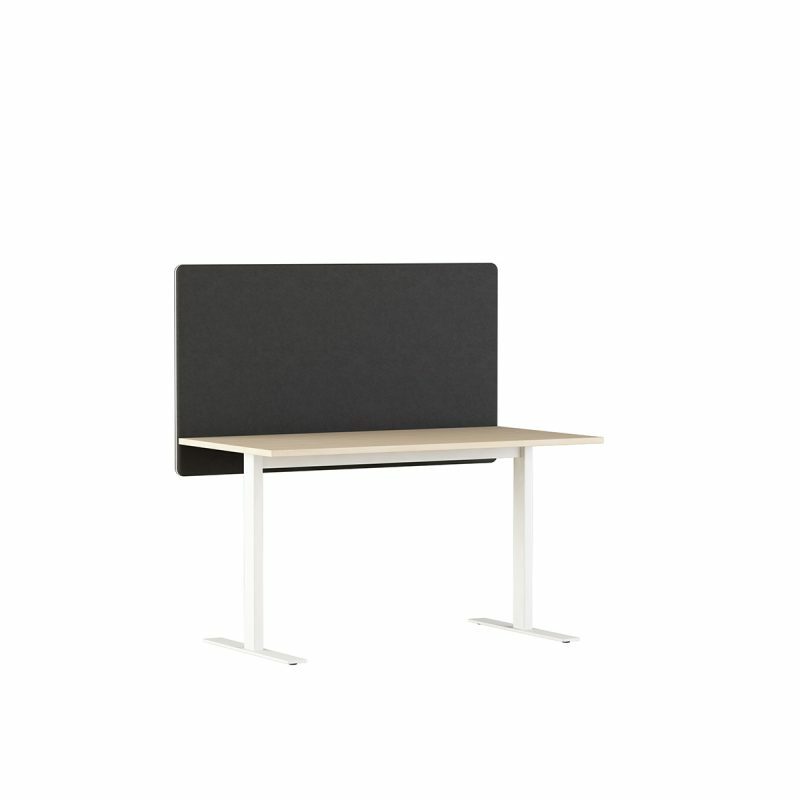 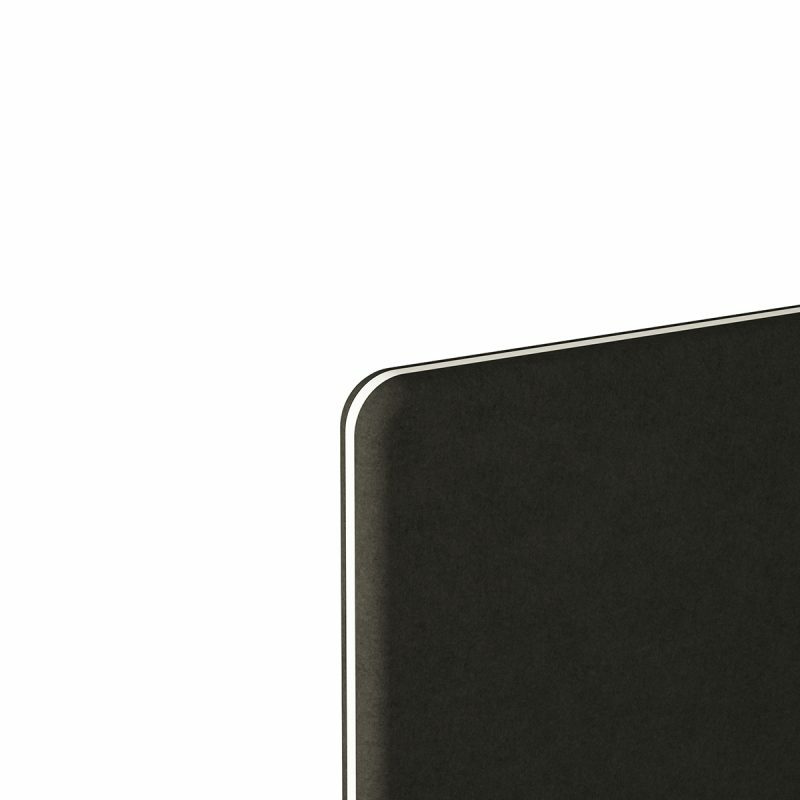 The desk-up screen has a perfect balance between sound absorption and sound propagation that is achieved with a sound reducing body and a sound absorbing polyether on both sides. 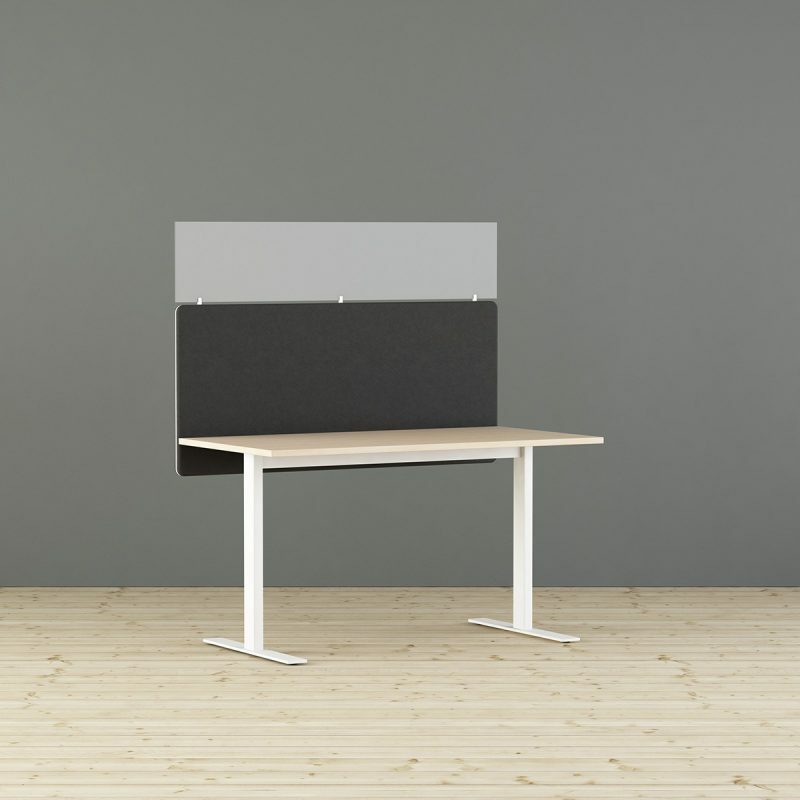 The flexibility in size and fabric selection allows the screens to be customized to most desks. 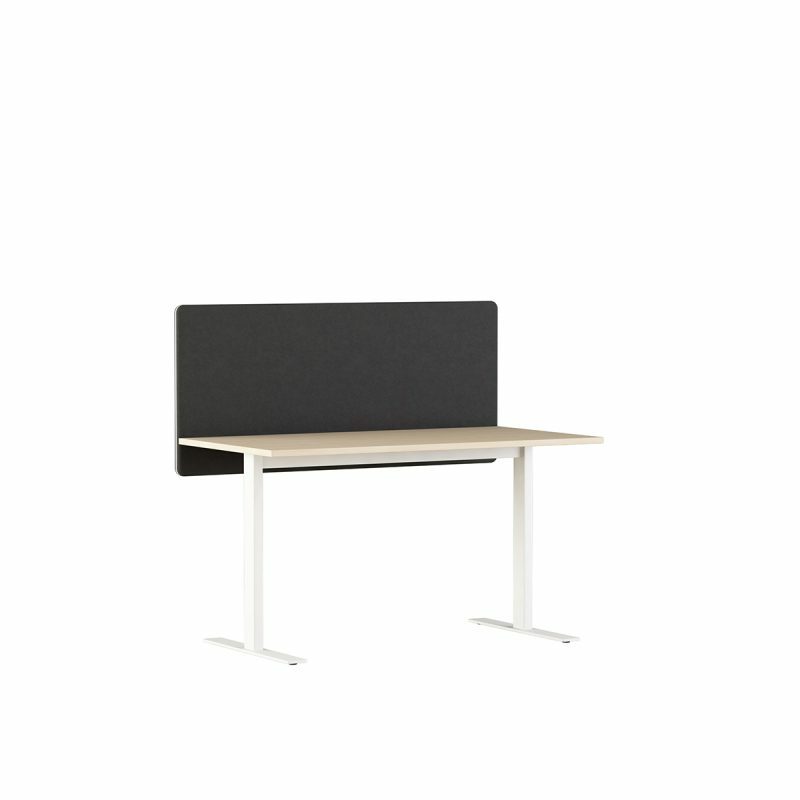 Contrast desk-up screen can be equipped with integrated toolbar, cable channel and outlets.